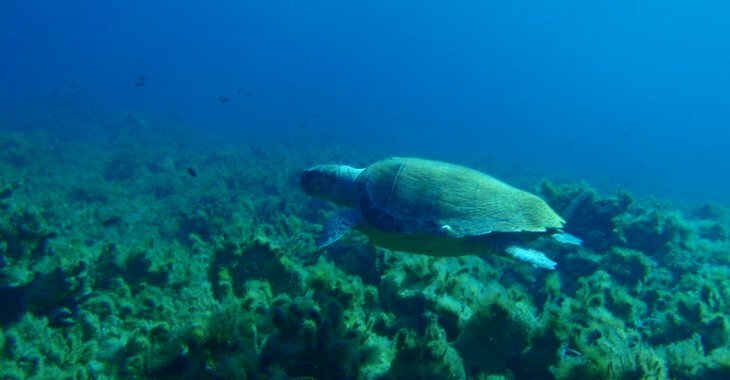 Nestling in the heart of the Cyclades, at the crossroads of ancient maritime routes linking mainland Greece to Asia Minor, Paros is the perfect setting for scuba diving and snorkeling, where novice and more advanced divers have the chance to look at the marine life of the Mediterranean and also to witness history.. underwater! 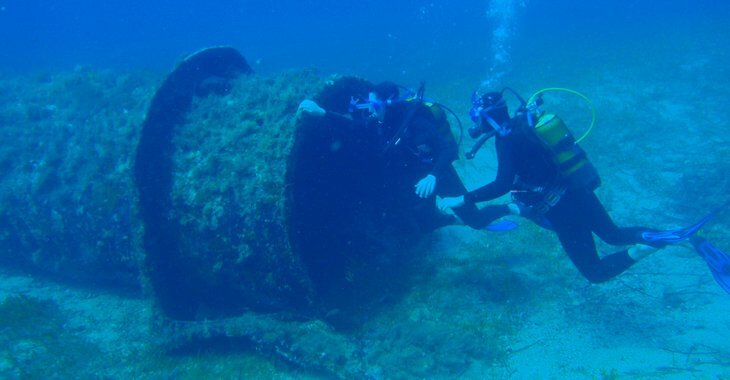 • Paros-Naxos Channel Wreck: An unforgettable scenic dive on this impressive sunken cargo shipwreck of the '80s, teaming with a wide variety of marine life. • Underwater Cave: A truly amazing experience as you enter this large karstic formation between 3.5m below the waterline and ~12m, surface in the cave, remove regulator, mask and marvel at the overhanging stalactites in this outlandish blue light! • Shoal of Wrecks: A very special group of rocks, a few meters below the waves surrounded by wreck remains of several historical periods. 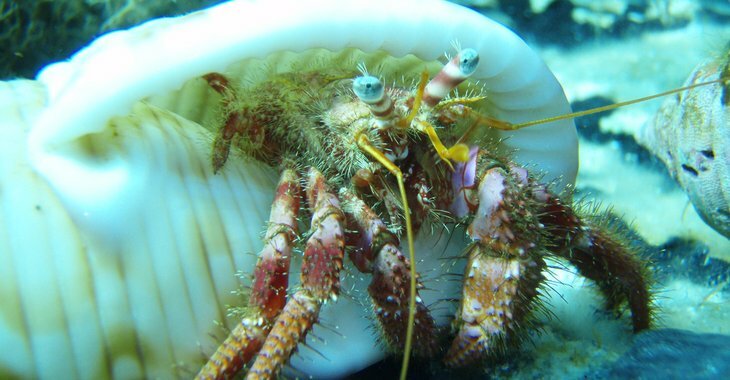 • Nearby island: A hidden and sheltered cove for snorkelers and some very interesting and varied diving on the reefs off the south side of this island. 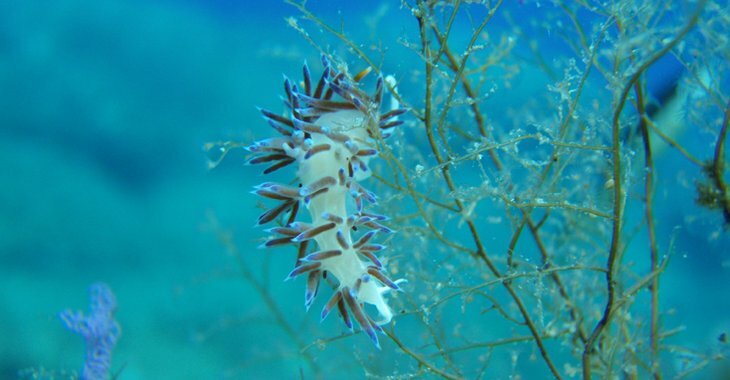 • Long Island: Scuba & snorkel where seabirds dive for fish and morays peek out of their lairs for octopus! 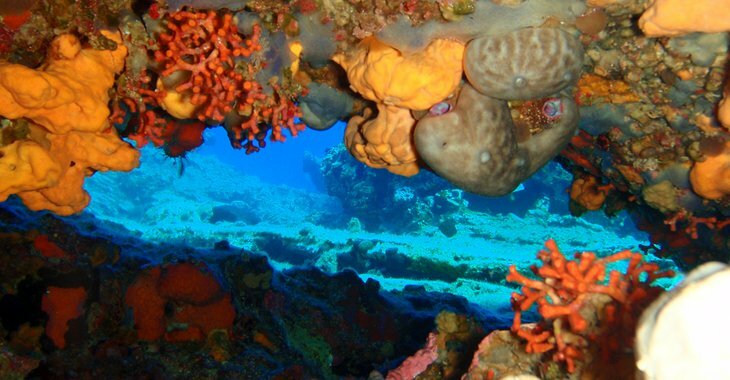 • Round island drift-dive: An exciting but relaxed dive around an islet observing marine life assisted by the currents. 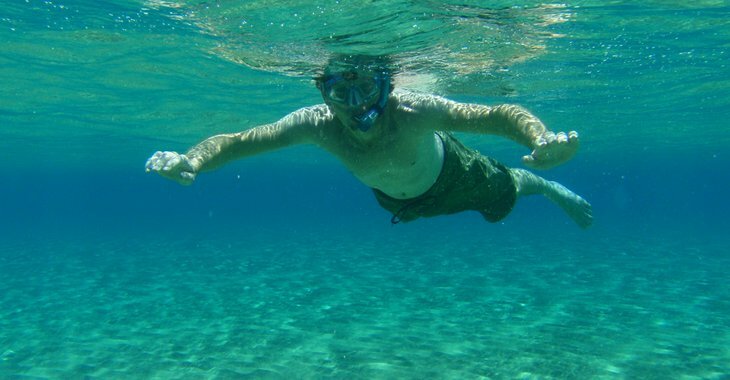 • A little cove in use for thousands of years: Excellent choice for snorkeling and diving over cultural and biological treasures. 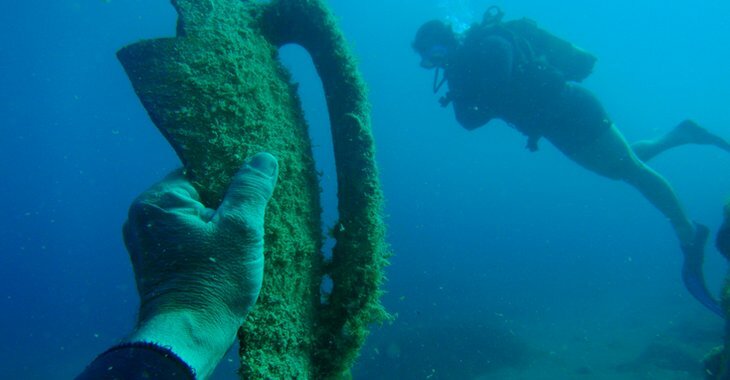 • WWII German airplane and exploration dive: A longer sea-adventure (day-trip) about forty minutes away. 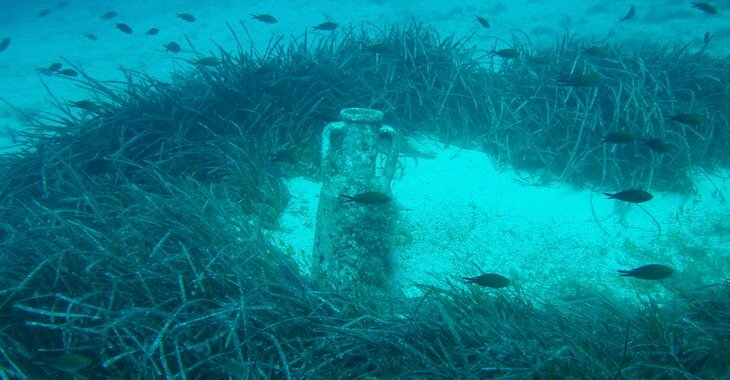 Dive and snorkel over this war relic lying on a Posidonia sea-grass carpet in a protected cove. 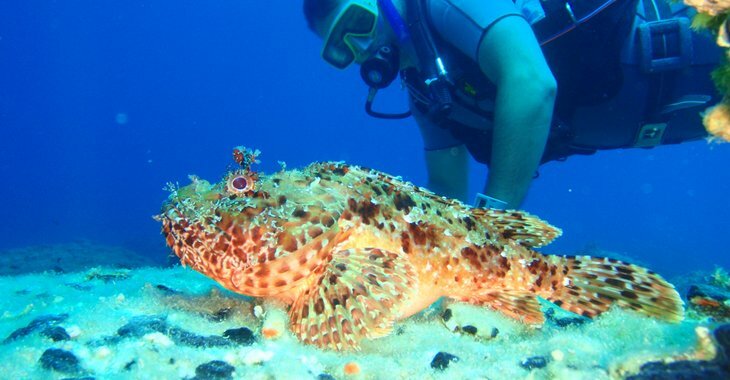 ... there are still more unique diving and snorkeling sites – apt for various levels of experience.